After 40 years and almost 5000 hours of general aviation flying I thought I had it down pat. But one Saturday recently I had a rude awakening that almost spelt the end of my flying career. The warm summer day started normally as I refuelled the aircraft and topped up the tanks (first mistake). Then I was to meet some locals at the airfield to take an aspiring 15-year-old pilot for his second-ever flight after an aborted flight due to weather with another club member a few weeks prior. He was as keen as mustard and had been waiting patiently for over a month to go flying. We all arranged to meet for lunch at the clubhouse and his Mum and friends had laid on a fine spread including the mandatory snags on the BBQ. It was a lazy lunch and we talked flying and club news for about an hour and a half. By now it was 3 pm and the day was getting hotter, so I suggested that we make a move for some local flying. One of the family friends had never been in an aircraft and suggested that he come along for the ride as well. I did a few calculations and worked out that I was 26 kg under gross weight, so I said, ‘why not’ (second mistake). We strolled out to the aircraft and I fitted them with life jackets and briefed them on the entry and emergency procedures. The taxi out and take-off was normal on the downhill runway and into wind which was about 5 knots from the right and about 15 degrees. I talked our intrepid potential aviator through the take-off and climb and although it was shallow it still seemed normal as we were heading downhill (third mistake). After flying around for about 15 minutes it started to get bumpy and remembering the lazy lunch where we ate a lot, I decided that we would return to the airstrip and do a couple of touch and goes. Approaching overhead I noticed another aircraft landing downhill and it looked like he was having a hard time with the wind moving him around and into a quartering tail wind on that runway. Based on that observation I decided to change runways and land uphill (fourth mistake). The approach was normal but as I started to flare I noticed my ground speed was high and I was fighting moderate turbulence below the tree line. I initiated the go-around early before touching down (fifth mistake). As I was still at about 20 feet when I applied full power I did not raise the flaps. When I looked up the trees were approaching fast, and the airspeed was not building. Something is wrong I thought. I resisted the temptation to drop flaps and I eased the nose down. Slowly, almost painfully, the speed increased, and I raised the nose to clear the trees by about 20 feet! Just as I passed over the tree line beyond the end of the runway the stall warning horn blared, and I got a big shot of adrenaline. I was hanging in the air and not climbing an inch! OMG high density altitude—it dawned on me in that moment! Thankfully, the ground falls away by about 50 feet so I again eased the nose down to build up some speed. Trying again to climb I was rudely interrupted by the stall warning again yelling in protest. After about one mile the speed crept up by a few knots, so I gently turned into wind by about 10 degrees and was rewarded with a meagre climb. I then gingerly raised the flaps and rejoined downwind for a full stop landing. My legs couldn’t stop shaking and I was grateful that the passengers seemed to have not noticed the situation as they were all beaming after we landed. For the next six hours I relived that go-around over and over many times and I realised that I had come within a hair whisker of pranging the aircraft and killing my innocent passengers. But why? Complacency allowed me to miss all the cues and warnings that were plainly there to see but I had not been astute enough to add it all up as I should have done. Flying is a serious business and if you take a lazy attitude with it then you will eventually get bitten on the bum. What did I do wrong? It seems that there was a whole series of culminating events that led me to an almost fatal end. Firstly, I knew I was going to be flying on a hot day with high density altitude, yet I still filled the aircraft with fuel when I intended to only do a short local flight. Secondly, I left the actual flight until the hottest part of the day when I could have done it hours earlier. Thirdly, I falsely rationalised that I could take a third person on board just because I was under gross take-off weight. 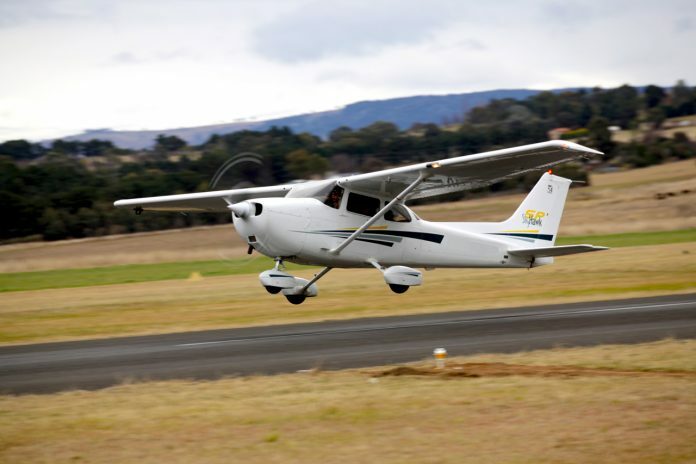 I then compounded the matter by doing a go-around on an uphill runway heading over trees. The icing on the cake was that I in fact landed with a quartering tail wind and that was almost enough to nail the coffin closed. Luckily for me I had 3500 hours on type and I was able to nurse the aircraft carefully to extract myself from the situation. I have no doubt in my mind that if I had done anything differently in terms of recovery then we would have certainly been into the trees. The temptation to raise flaps and pull up the nose was very, very hard to resist. Thankfully, I realised the situation immediately and initiated the correct recovery technique that I had already thought about some time before. It brought forward the thought that in flying it is not if it will happen but when. I had spent the last 5000 hours thinking about all the many scenarios and working out what I would do. This paid off for me that day as only a cool head and planned action could have recovered a nasty situation. In retrospect, I realised my failing was that I had become complacent and I was only paying lip service to a very serious business. I survived and have definitely learnt my lesson about being lazy towards a very demanding and challenging environment that takes no prisoners when you get it wrong. I lived only because I didn’t panic and worked through the problem. Very fortunately, I extracted myself from the hole I had dug for myself by being flippant with the very serious business of flying. The lesson is don’t be complacent, be diligent and treat every flight as another lesson in risk management. The life you save may belong to an innocent passenger! Good lesson learned. I agee with Jack about flying earlier – it would also reduce the risk of inexperienced flyers losing their lunch in the aircraft. Thanks Greg, a great article and a timely reminder! I am relatively a newcomer to aviation with under 700hr over a 10 year experience. Apreciating the warning that familiarity can breed contempt, or remembering to remember. These personal warnings have immense value in saving lives, which I can certainly relate to. Thank you. That reminds me of the days I flew out of Quito Ecuador with pressure altitude of 9400 ft and temp of 20 C! Den alt way up to 12000 ft. Happily I had a Turbo intercooled 206. This event just flaws me! To think that in 40 years flying with so many hours you had learnt nothing! I expect those dumb decisions from a once a year flying novice only!! You where dammed lucky you didn’t kill innocent people from your own stupidity! I only hope it shook you up big time! Wow – enjoy your rant Walter? Good comment Walter! – Greg was very fortunate he didn’t join the ranks of Darwin’s Law of Natural Attrition. A resit of his Basic Flying Licence would be a good idea! I doubt if a LAME would have gotten off as easily with as much as a ‘bruised ego’, that’s pilots for you! 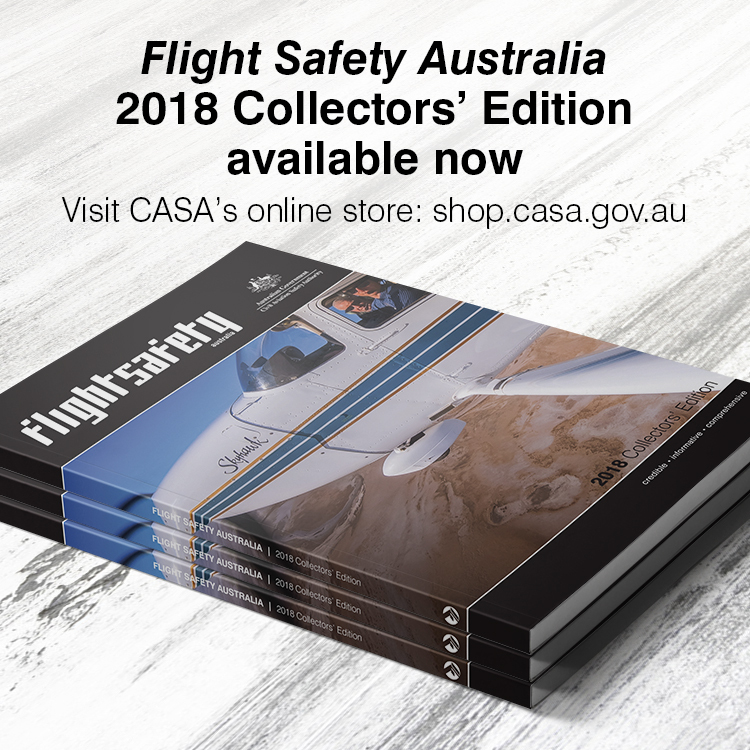 Do not lose sight of the fact that flying is a ‘High Risk Activity’, and compliance with the appropriate Risk Management policies and procedures as laid down in various legislative acts, regulations and international standards should be acknowledged and complied with if the hazards involved are to be controlled and minimised. Risk Management doesn’t just apply to Workplace Health and Safety, but everything we do and every career or occupation we choose and are engaged in. Greg though his recount of that frightening event, has performed a Risk Assessment for the benefit of his fellow aviators – learn and adjust your own operating procedures accordingly! Ego driven comments and senseless criticisms serves no purpose. Read, learn and apply the content of the FSF articles and hopefully you will become a better aviation industry member.